Two of a kind: Couples in Hispanic families may share features of autism that they later pass down to their children. 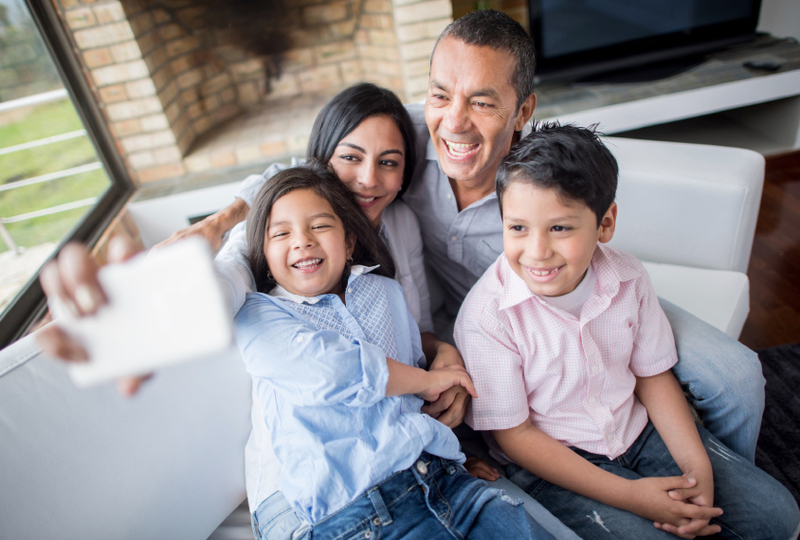 One of the first studies to explore Hispanic families with a history of autism reveals that parents of children with the condition show some autism features themselves1. Autism-related traits are known to aggregate within families, but most of that work has focused on Caucasians2. “We wanted to check that the same relationships actually held [in Hispanic families],” says lead investigator John Constantino, professor of psychiatry and pediatrics at Washington University in St. Louis. The findings appeared 6 September in Molecular Autism. The researchers recruited 151 families that include at least one parent who self-reports as Hispanic and at least two children. Roughly half of the families have a child with autism. Parents and teachers rated the children’s autism-related behavior using English- or Spanish-language versions of the Social Responsiveness Scale-2. Spouses also evaluated each other’s traits with the scale, a questionnaire that quantifies the severity of autism features, such as social difficulties and repetitive behaviors. As expected, the children with autism scored three standard deviations higher on the scale than did typical children. The severity of autism features in children with the condition is similar to that of their siblings and parents, suggesting that these features cluster in family members. The findings indicate that inherited common variants contribute to autism risk. What’s more, in 16 percent of the families that have a child with autism, the mother and father both scored in the top one-quarter of all parents on autism-related traits. Parents in only 3 percent of the typical families scored in that range, suggesting that autism-related behavior in both parents boosts the likelihood of their child having autism. The results point to the powerful influence of family genetic background on risk for autism, says David Ledbetter, executive vice president and chief scientific officer at Geisinger Health System in Danville, Pennsylvania, who was not involved in the study. Even when a child carries a mutation associated with autism, the genetic background she inherits can affect the clinical outcome. In 2015, Ledbetter reported that the severity of features in individuals with deletions in the autism-linked 16p11.2 chromosomal region tracks with the behavior of their parents3. “The family background creates the single best predictor of a child’s ultimate cognitive performance or social behavior,” he says. In the new study, Constantino and his team observed that spouses, especially parents of children with autism, share many behaviors associated with the condition. This observation bolsters the theory that people tend to choose partners like themselves, perhaps contributing to the aggregation of autism-related behaviors within families. But parents were asked to rate each other, which could have inflated these correlations, Hoekstra says. For example, a recent argument can influence one spouse’s assessment of the other’s social skills. In a 2007 study that involved a different autism questionnaire, Hoekstra did not find evidence of this pattern of choosing similar mates in a sample from the Netherlands4. Hoekstra says such ‘nonrandom mating’ may occur, but at a lower frequency than the new study suggests. “Probably, the truth is somewhere in the middle,” she says. The researchers also found strong correlations for autism-related traits in the families of typical children. This observation hints at a possible evolutionary advantage of some subclinical features of autism, such as attention to detail, Constantino says. Where can I access the original empirical article?